Don't let Arthur's cropped ears fool you - he's not a tough guy at all! 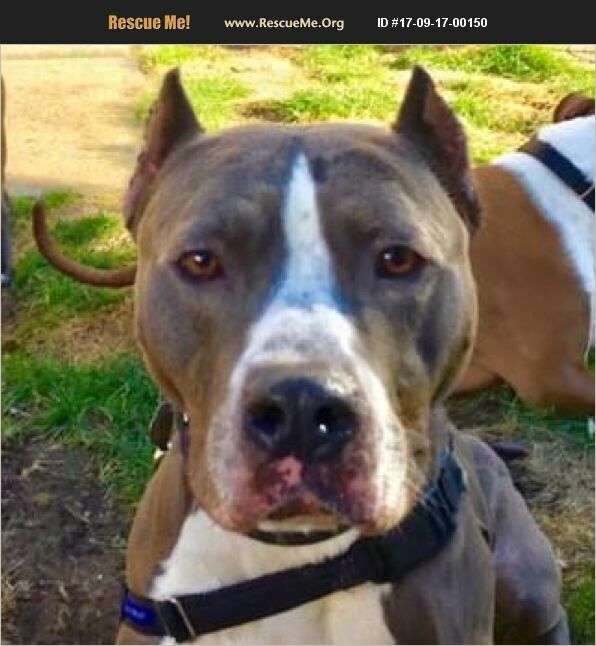 He's a gentle soul looking for a gentle, fun-loving home. Arthur is a two year old big pit bull mix who arrived at ACL as a stray. People had reported seeing him in the area for a few days, but it wasn't until he started to play with a citizen's dog that we were able to catch him! Arthur absolutely loves other dogs. So far, he's been a tolerant companion to dogs of all sizes - we think he'd be an absolutely wonderful second or third member of a pack. Arthur is a little stressed out here in the shelter, so he barks and gets rowdy, but once he's out of the stressful kennel, he's a low-key, sweet dude who likes walks, playing in the yard, and lots of cuddles! Arthur needs a confident, dog-savvy handler to show him that someone is in charge so he doesn't have to worry. He'll do best in an adult home with dog experience. Arthur is doing well with the cat in his foster home, so he's officially good at everything! Email Gabrielle at caninemanager@animalcareleague.org for more info!